Late March 2019: Application opens up online. Sunday, June 9, 2019: Application submission deadline. The financial document must also be received by this date. Tuesday, June 18, 2019: Applicants will be notified by this date via e-mail of acceptance or denial. Applications are accepted once a year during the months of March-June for the upcoming Fall semester. Students who miss the deadline or applied and were not accepted are welcome to apply the following year. Access and complete the online application. Do not send a URL link to your Award Summary. 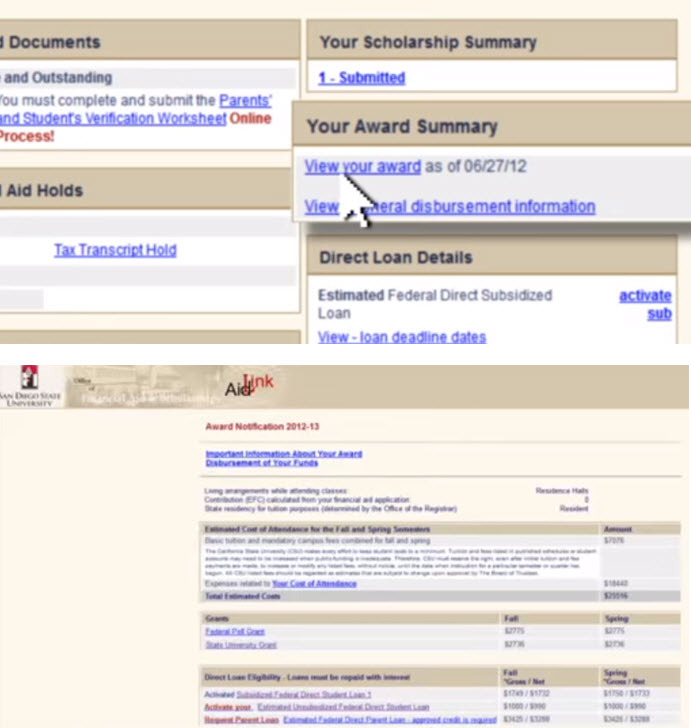 View screenshot of a sample Award Summary. Black out any and all social security numbers and/or bank account information. View sample of a Tax Return Transcript Form 1040. Incoming FRESHMAN students who are accepted into the MESA program will be automatically enrolled in ENGR 96 (Section 1 or 2). Engineering 96 (ENGR 96) is a STEM Freshman Orientation Course designed for engineering and physical science majors and is a component of the comprehensive MESA program, taken once during their first Fall semester. MESA program freshmen will be assisted in adjusting to campus. Note - If your selected major requires Math 150 and/or Chemistry 200/202, you will need to take a placement exam before you are allowed to register for those courses. Incoming TRANSFER students who are accepted into the MESA program are required to enroll in GEN S 250 (Section 1). General Studies 250 (GEN S 250) is a STEM Transfer Orientation Course is designed for engineering and physical science majors and is a component of the comprehensive MESA program, taken once during their first Fall semester. Additionally, as members in the MESA program, students will have opportunity to develop professionally while engaging with alumni and SPAWAR Systems Center Pacific scientists through the ANSWER program (application and acceptance required (flyer). The suppressed schedule # (needed in order to add the course) will be e-mailed by MESA staff. CONTINUING SDSU students are students who have already completed at least 1 semester at SDSU by the upcoming Fall semester. 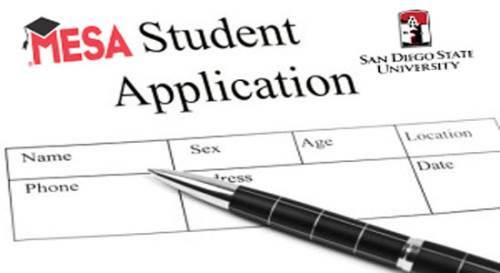 Continuing SDSU students do not have any course requirements. The MESA program focuses on either low income, first generation college students or first generation to study in a STEM major. A majority of the program spots are reserved for first time freshmen and transfer students. These students will need additional help in matriculation.